New research into the effetive of nutrition on heart health has been published. A NEW STUDY has shown that a low-calorie diet including fish and red meat can be just as effective at reducing heart attack risk as a vegetarian diet. The research was carried out by the University of Florence and involved 107 healthy but overweight participants aged between 18-75. The participants were randomly put on two diets for three months each before switching over. The Mediterranean diet included poultry, fish and some red meat as well as fruits, vegetables, beans and whole grains. The vegetarian diet naturally did not include meat and fish but it did include eggs and dairy. The researchers wanted to find out if the lacto-ovo-vegetarian diet could be more at reducing the risk of heart disease. Researchers found that both sets of participants lost weight, on average about three pounds of fat and four pounds overall. The participants on both sides also experienced a similar change in their body mass index (BMI) but there were some interesting differences in other effects both diets had. Two distinct changes in particular were observed, both of which were positive developments. 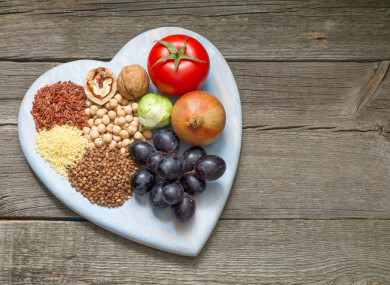 The vegetarian diet was found to be more effective in reducing LDL cholesterol, the so-called ‘bad cholesterol’ which is associated with increasing the risk of heart disease. On the other side, the Mediterranean diet was found to be more effective in reducing triglycerides, high levels of which can increase the risk of heart attack and stroke. Both diets were varied and were rich in fruits and vegetables, possibly accounting for the similarity of the results. The results were recently published in Circulation, the American Heart Association’s journal. Email “A low-calorie diet with meat could reduce heart attack risk just as much as a vegetarian one”. Feedback on “A low-calorie diet with meat could reduce heart attack risk just as much as a vegetarian one”.